It is not what you would expect. An authentic Alpine lodge located in the middle of a Greek island. 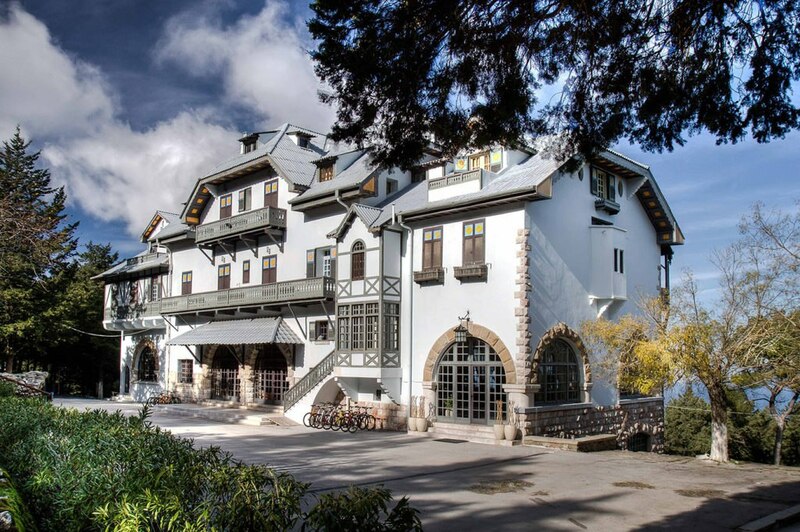 Hotel Elafos is situated atop of the forested mountain of Profitis Elias, at an altitude of 780 meters. It was built in the 1930’s, under the Italian regime near a small Byzantine Monastery and was recently renovated to offer full hospitality services. Surrounded by a forrest of Atlas cedars, pines and cypresses of a unique beauty, the complex is mainly consisted from two buildings. The larger, a three-storeyed one named Elafos and a two-storeyed one, Elafina, that it is not currently used. The buildings have a very dinstictive architectural character. They are build like the traditional hostels of the Alps and both have large, stone build walls in the basement and high pitched wooden roofs. The construction of the Elafos hotel or better l’Albergo del Cervo, as it was originally named, started during 1929 under the fascist regime. The name derives from the presence of herds of Rhodian dears (Dama dama) in the island’s forrests. In 1930, a ground floor restaurant with a large veranda, a tennis court and a dancing floor were added while later on, the second floor was constructed, replacing the veranda. During the year 1932 the building was extended with a new wing, called Elafina. Thus, the hotel was finally named Elafos and Elafina after a certain species of deer that lives in the woods nearby. Elafos Hotel is about 45km distant from the city of Rhodes.